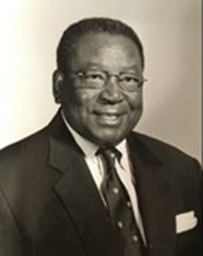 It is with extreme sadness that we announce the passing of former North Carolina Central University Trustee (1989-1995), Franklin R. Anderson. Throughout his life, the accomplished businessman has left a profound impact while serving in leadership roles within corporations and organizations. Despite not having an undergraduate degree, Anderson graduated with an MBA from Harvard Business School in 1971 and in 1997, the Harvard Business School named a classroom in his honor. In addition to Anderson’s successes, he always desired to give back and impact the lives of others. Among his gifts to higher education institutions, was his donation of $1,000,000 in 1995 to NCCU to establish the Charles Hamilton Houston Endowed Chair in the School of Law. Anderson along with his wife, Susie R. Powell, former NCCU Law faculty member and award-winning screenwriter, established the endowed chair to honor the famed civil rights attorney who served as the director of litigation of the National Association for the Advancement of Colored People (NAACP), where he played an instrumental role in the dismantling of Jim Crow laws across the nation. Anderson received an honorary degree from NCCU in 1996. He is also the retired chair of the board of Custom Molders, Inc. in Durham. The entire NCCU School of Law Family extends sincere condolences to his wife, Susie, and his family.